The Logar Valley is one of the most beautiful Alpine valleys in Europe. The area of the Kamnik and Savinja Alps is a site where fossils from the Middle Triassic Period have been found, making it a quite extraordinary site at a global level. See them at the Rinka Centre. Every step you take, you will be surprised by Slovenia’s natural and cultural gems. 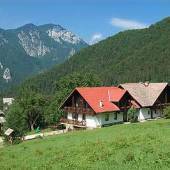 Are you interested in what you need to see in the Upper Savinja Valley? An inspiring, blooming piece of paradise by the River Savinja, which was created on a former wild waste deposit site. Today, it is adorned by colourful flower beds, ethnological showpieces, and inventive exhibitions. Embraced by the two-thousand-metre high Kamnik and Savinja Alps, at the top of Logar Valley, you can find the breath-taking and majestic 90-metre Rinka Waterfall. The Church of St Hermagoras and Fortunatus is the largest and architecturally most significant Baroque building in Slovenia. The more than 750-year-old Vrbovec Castle in Nazarje houses the Museum of Forestry and the Wood Industry, which shows the tradition of forestry and wood workers of the Savinja Valley. The highest located and oldest tourist cave in Slovenia, dating back 10 to 12 million years. If you’d like to escape the urban hustle and bustle, the Upper Savinja Valley is an ideal destination for your getaway. You can explore authentic green nature under the mighty amphitheatre of two-thousand-metre high peaks of the Kamnik and Savinja Alps in numerous ways or you can simply find your own oasis of peace and focus on yourself. Go on a cycling trip past the picturesque meadows of the Menina Nature Reserve, on the panoramic Solčava road, or on the side roads running in the flat areas around Mozirje, Nazarje, Ljubno, and Gornji Grad. Mountain bikers can choose to go on an exciting downhill ride from Golte, where the popular Cycling Ascent to Golte is also held every year. This mountain range has many protected natural areas that are ideal for hiking and trips to the mountains. The highest peaks are higher than 2500 metres, and well-marked mountain trails will lead you to them. Hike up to the highest peaks of the Kamnik and Savinja Alps. Mt Grintavec, Mt Ojstrica, Mt Brana, and Mt Storžič. In the summer, the River Savinja is truly refreshing and a great place for family water mischief. Make your holiday even better by enjoying fun and safe rafting on the green wild waters of the River Savinja. The wild sections of the river are exciting even for the most experienced kayakers. The 15 km long range of pre-Alpine hills, which is protected as the Smrekovec-Komen geological and botanical reserve, is a popular hiking destination and energy point. Experience unique energy at 1577 m and admire the view of the Savinja Valley. The extinct volcano is a large water resource site, a world of rare flowers, and the largest cohesive living area of the capercaillie (wood grouse). Visit this popular Slovenian ski resort with 12 km of exciting slopes at an elevation of 1000–1600 m with an incredible view of the Kamnik and Savinja Alps. Skiing, a ski school, sledding, and snow rafting are a great idea for a true ski getaway, which can be topped off by visiting a mountain wellness centre. Far from the urban hustle and bustle, you can enjoy the scent of hay, the vastness of meadows, the liveliness of domestic animals, and genuine hospitality. Treat your senses by enjoying delicious local cuisine, the staple of which is the royal stuffed pig’s stomach from the Upper Savinja Valley (Savinjski želodec). Take time to explore the surroundings or join farmers as they perform their domestic or farming chores. 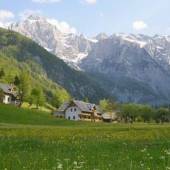 Explore the magnificent views of the Kamnik and Savinja Alps and the Logar Valley, stunning natural features, special cultural features, and enjoy the hospitality of tourist farms by bicycle or on foot. You can join the shepherd Krištof and visit more than 20 tourist points and help him find his lost sheep, while exploring the gems of the natural and cultural heritage of the Solčavsko region. Combine your curiosity with recreation in nature. Potočka Zijalka is an important cave site at an elevation of 1675 m on the side slope of Mt Olševa. This archaeological and palaeontological cave site, in which cave bear skeletons and 30,000-year-old tools of stone-age humans were found, is also a site where one of the oldest sowing needles in the world was found. Take care of yourself and escape the everyday hustle and bustle. 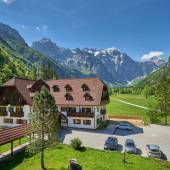 Relax in saunas and boutique wellness centres surrounded by the fresh Alpine air of the green Savinja Valley. Stay in unique glamping facilities, swim in pools and ponds with natural water or get warm in hot-water pools. Enjoy a massage and the therapeutic effects of api therapy. The River Savinja and its dynamic flow and landscape excites many fishermen, who always find their own little corner for inspiring rest in the Savinja Valley. Enjoy fly-fishing for indigenous natural brown trout, grayling, and rainbow trout. If you are still learning about fishing, go to the fishing ponds in Mozirje and Ljubno. At the Rinka Centre, a multi-purpose centre for sustainable development, you can see high-quality local products and an exhibition on how people in the Savinja Alps live together with nature. 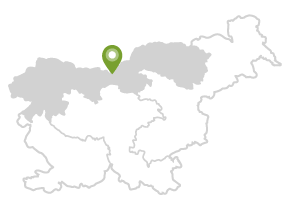 Due to its incredible quality of air and living space, Gornji Grad is the only Slovenian municipality that is a member of the European Climate Foundation. More than 170 km² of the Upper Savinja Valley area is included in the European NATURA 2000 network of special protected areas. Rent an e-bike and contribute to preserving the clean air and natural beauty of the Savinja Valley. Ajdnek is a cake made of light leavened buckwheat dough poured into a baking pan, sprinkled with ground walnuts and drizzled with honey. You can make this tasty dessert yourselves or try it at one of the tourist farms. Forget about your everyday troubles and discover inspiring corners in nature. 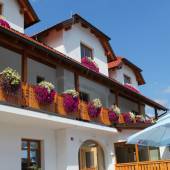 Relax in refreshing air and enjoy the authentic rustic ambience of the Savinja Valley. Explore neighbouring areas too. Leave the Savinja Valley and head to the Šalek Valley, specifically to the town of Velenje, where you can tour a unique underground mining museum, or pamper yourselves in the nearby Terme Topolšica Spa – all this just 10 km away. Make sure to also stop in Žalec, a hop-growing centre, where you can pour various varieties of local beer from a beer fountain. Within a radius of approx. 30 km, you can experience two historical towns – Celje with its mighty castle, and Kamnik, which will not only take your breath away due to its old town centre, but also because of its green surroundings. A visit to the Volčji Potok Arboretum or a climb up to the Velika Planina plateau are also a must. The Koroška region is just 30 km away, where you can discover the mysteries of the Karavanke Geopark or embark on an exciting adventure in the underground of Mt Peca. 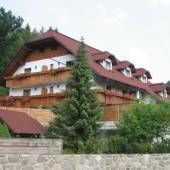 For more information, visit the Upper Savinja Valley website. Share your photos and snapshots of the Logar Valley and other attractions of the Upper Savinja Valley by adding #ifeelslovenia.